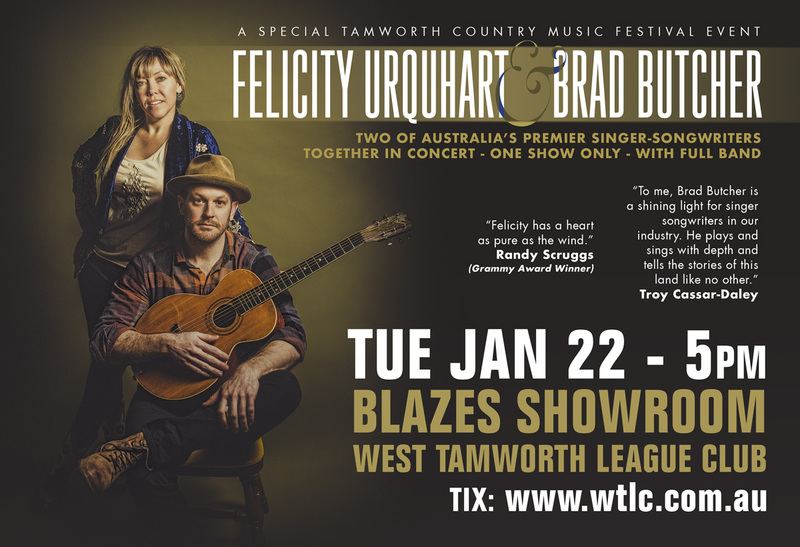 Two of Australia’s premier singer-songwriters together in concert. One show only with full band including Brendan Radford, Steve Fearnley, James Gillard, Vaughn Jones and Glen Hannah. A very special show for the 2019 festival! Bennett, Bowtell and Urquhart – Album #2 Felicity signs to ABC Music!